For customer service inquiries or to initiate a return, please contact Jewelry at service@jewelry.com or 800-243-0459. Mix and match with this multi-pearl stud earring set from Honora! 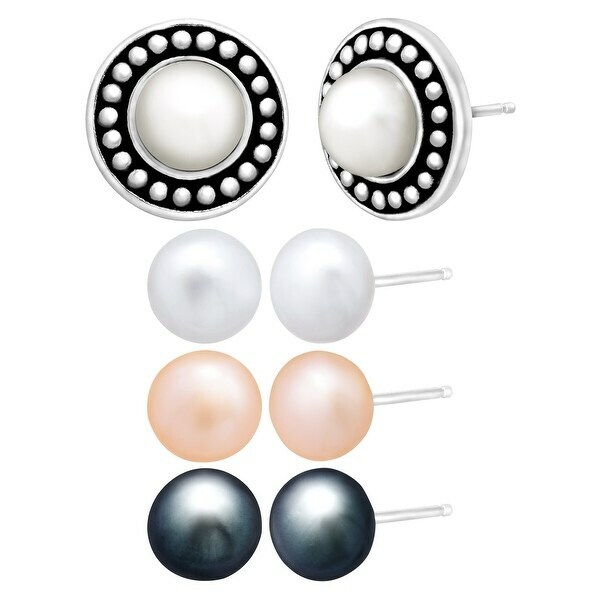 This collection features four pairs of 6-7.5 mm button pearl stud earrings in black, gray, rose, and white enclosed in a removable jacket in sterling silver. Pieces measure 1/2 by 1/2 inches with the jacket and 1/4 by 1/4 inches without.